From left: Doireann Ansbro, Hannes H. Gissurarson, Andrei Muraru, Edvins Snore, Neela Winkelmann and Frantisek Sedivý (rear view). Still, old national socialists and their collaborators are occasionally being put on trial for atrocities committed before the 1945 collapse of national socialism. It is much rarer to hear of old communists and their fellow-travellers being charged with any crimes against humanity, even if they ruled much longer—in Central and Eastern Europe until 1989—and had many more victims. Invariably, in communist countries, real or imaginary opponents of the regime were executed or kept in labour camps; many groups, whether defined by nationality, class or political views, were forcibly deported; innocent people were tortured and compelled to make absurd confessions; show trials were held; citizens were deprived of freedom of religion, thought and association; if caught, refugees were immediately shot. It is estimated that 20th Century communism claimed about 100 million victims in total. RNH is a member institute of the European Platform of Memory and Conscience which seeks to keep alive the memory of the victims of European totalitarianism, both national socialism and communism. A joint project of RNH and AECR, the European Alliance of Conservatives and Reformists, “Europe of the Victims”, is also being pursued with this same aim. 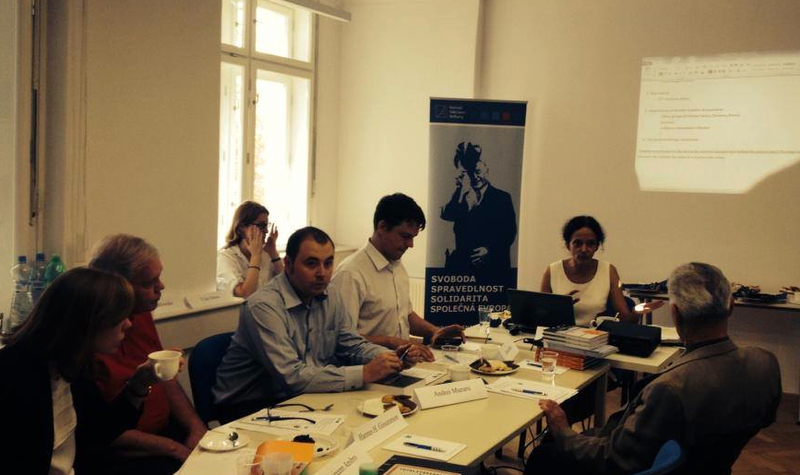 Professor Hannes H. Gissurarson, RNH Academic Director, attended a seminar organised by the Platform in Prague 29 July 2014 on how victims of communism can obtain justice. Still, many of the hangmen of the totalitarian communist regimes are alive, and they even have influence in some post-communist countries. These former hangmen try hard to hide their blotted record, for example by limiting access to documents and by shouting down those who dare put their misdeeds on the agenda. In Slovenia, for example, many mass graves have been found full of corpses of people who had been summarily executed at the end of the Second World War. It is estimated that those people may number about 100 thousand. They were not only former collaborators of the national socialists, but also those whom the triumphant communists believed might challenge their total power after the War. In the Czech Republic, again, former communists have tried to hinder or make more difficult the digitalisation of documents from the communist era. Other attendees at the seminar included Dr. Neela Winkelmann from Prague, Dr. Edvins Snore from Riga, Professor Albin Eser from Freiburg and Ms. Dorieann Ansbro from the UN Human Rights Commissioner in Geneva. Also, the seminar was attended by a few Czechs who had suffered persecution under communism, such as František Šedivý, who, for his opposition to the regime, spent twelve years in a labour camp processing uranium. One of the seminar’s sponsors was the German Konrad Adenauer Stiftung, which made its Prague premises available for it.